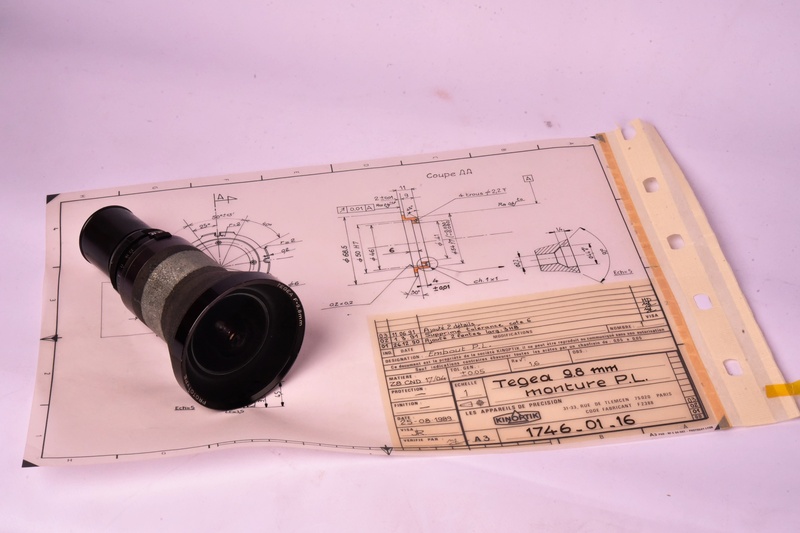 KINOPTIK Prototype TEGEA F=9,8 mm. 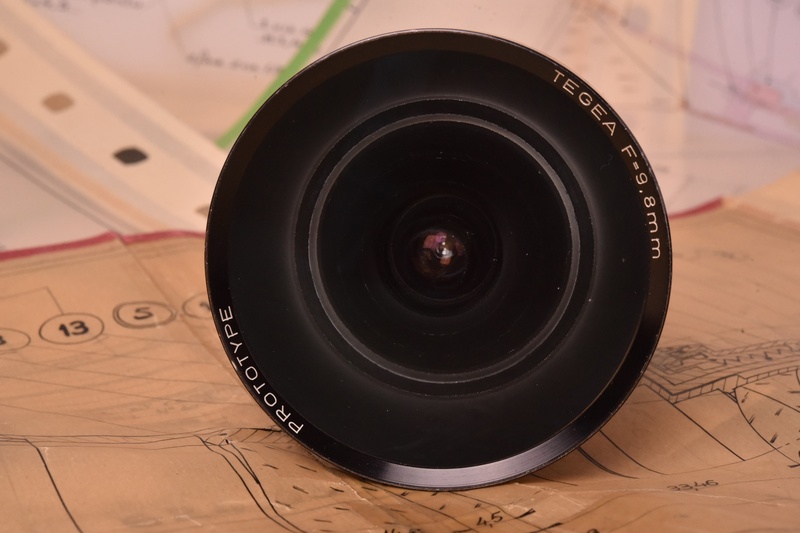 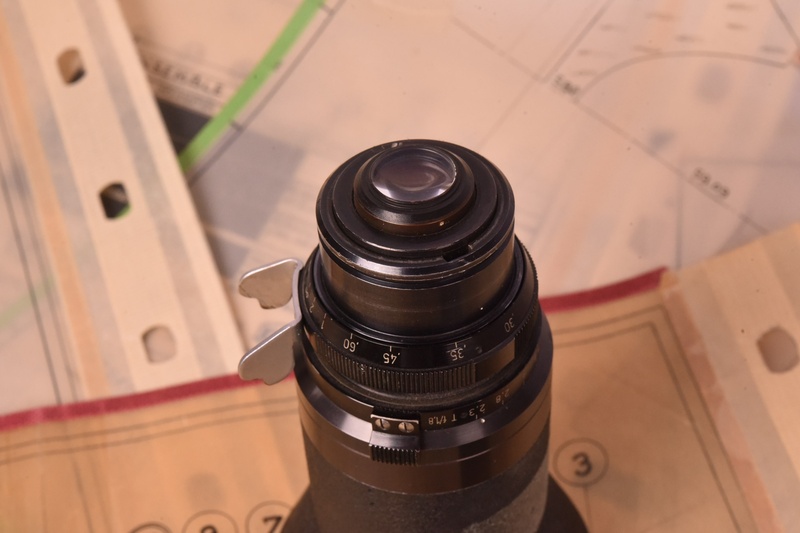 KINOPTIK Prototype TEGEA F=9.8mm. 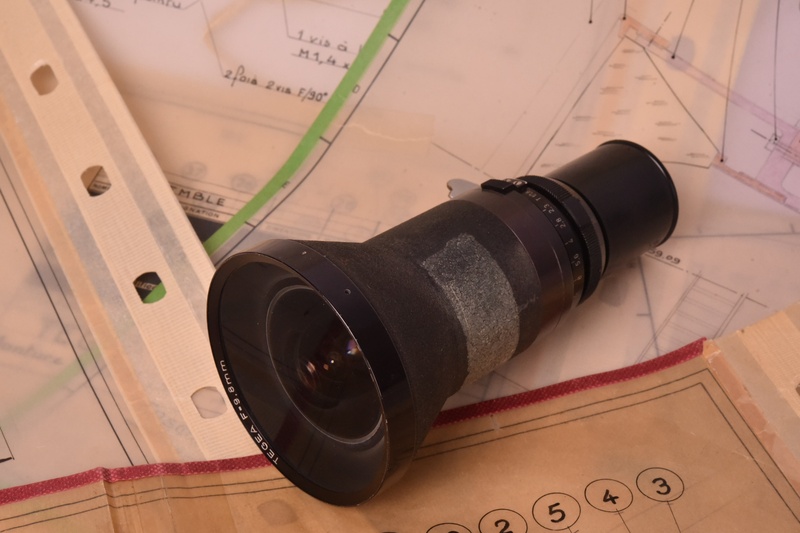 Here we have the prototype of this very wide angle lens. 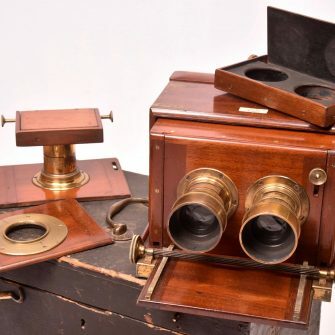 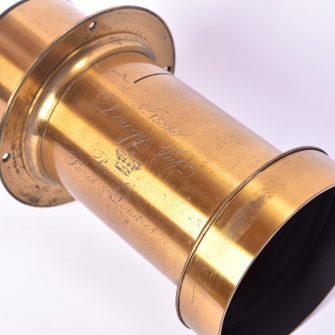 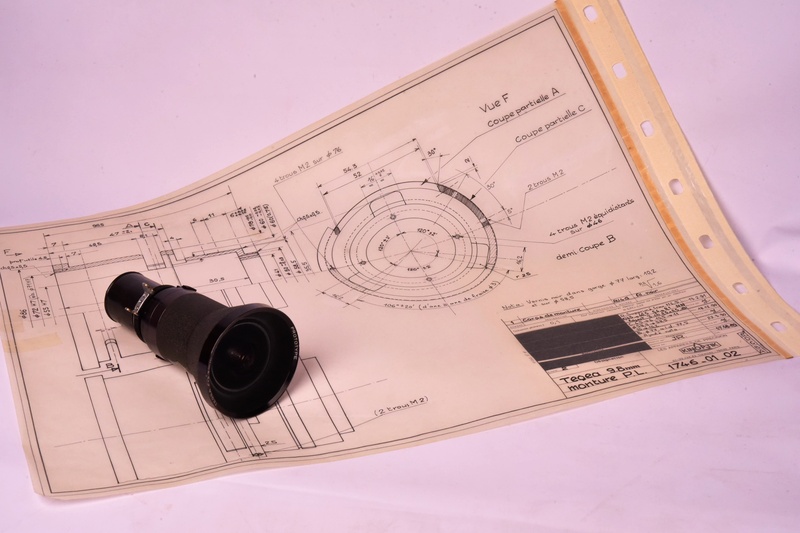 This item is unique and comes direct from the KINOPTIK workshops. 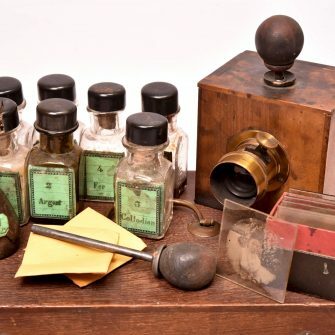 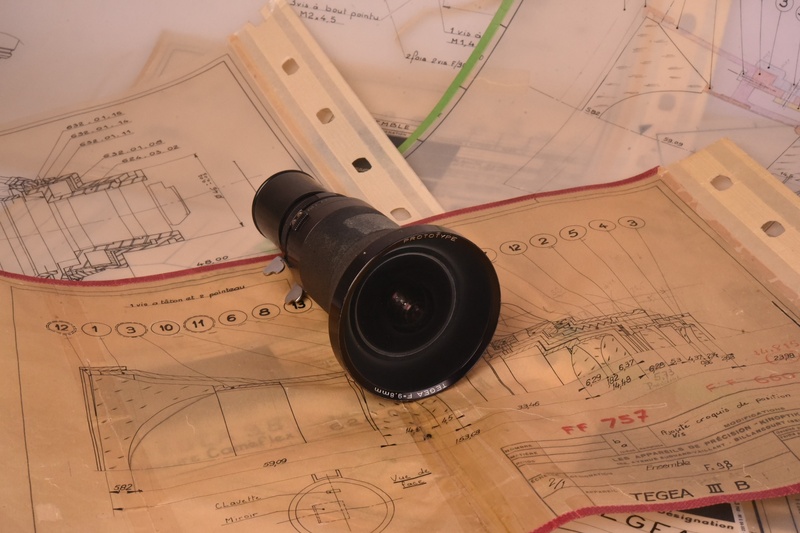 There are seven original annotated diagrams with dimensions to accompany this prototype. 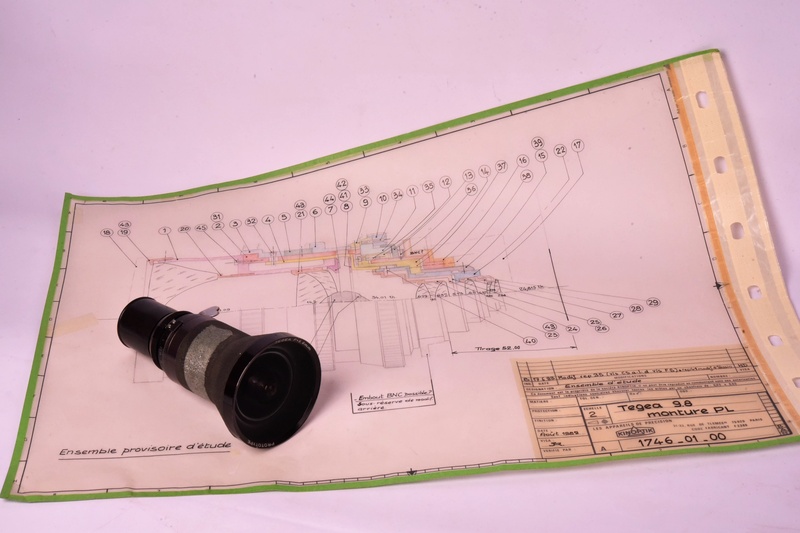 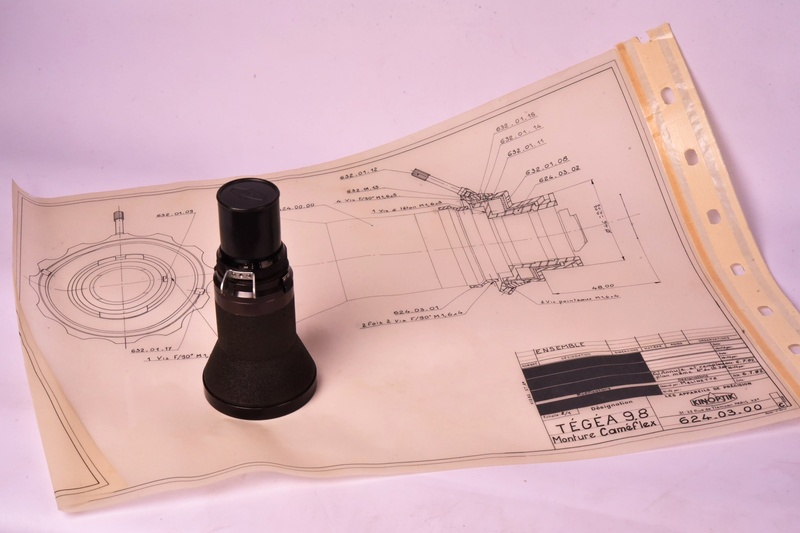 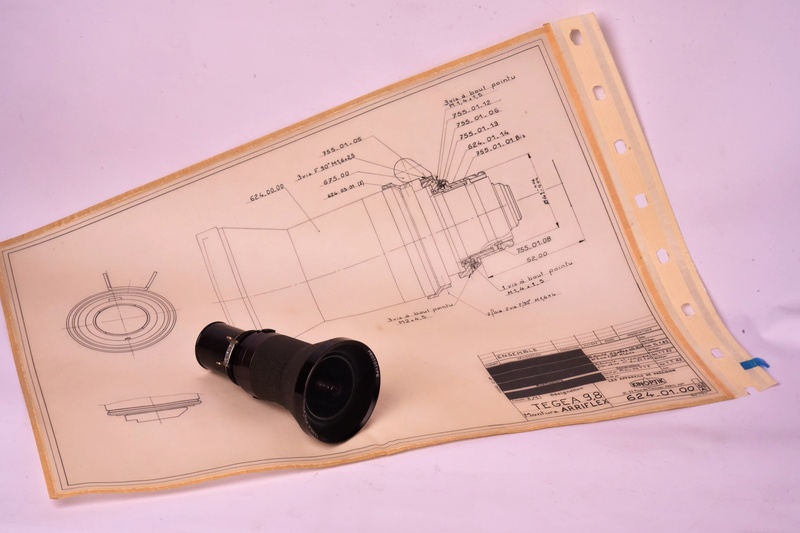 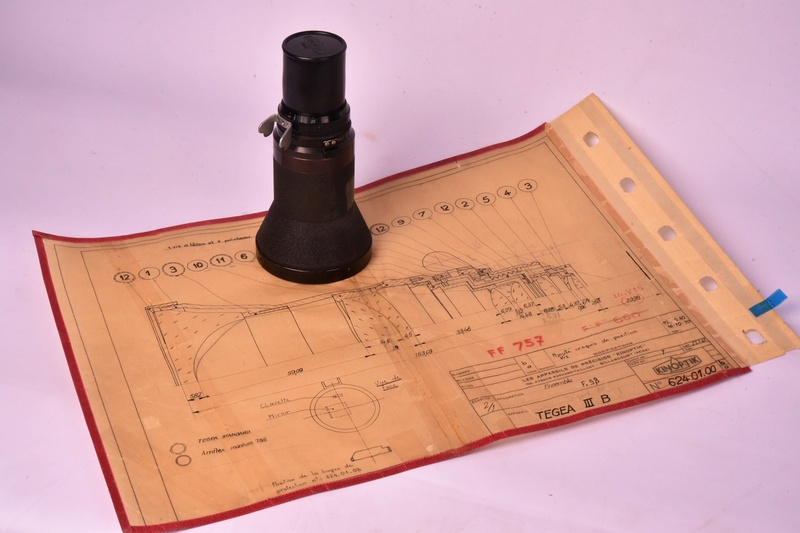 These diagrams show the evolutions in the lens during the production stage (1970-1991), with regard to mounting them on Arriflex and Cameflex cameras. 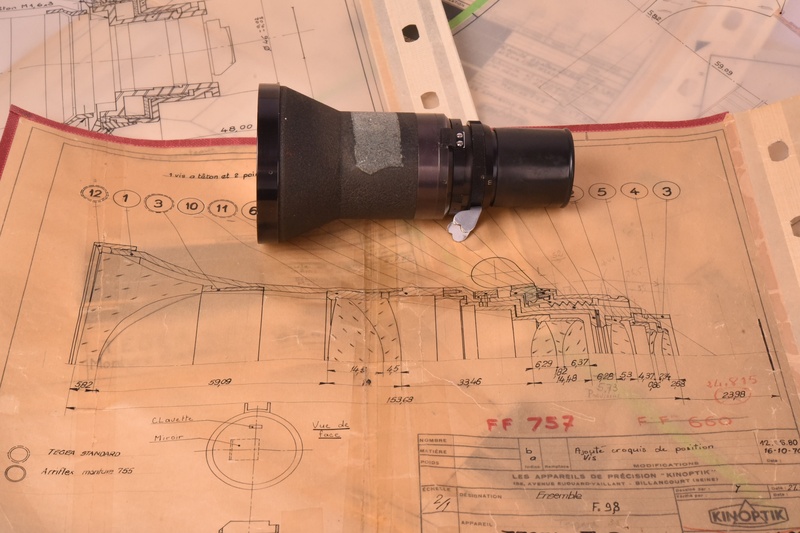 This prototype together with the factory documentation have a unique character, worthy of being in a museum collection.